As a PreK-8th grade school, Canterbury focuses exclusively on young learners. Students at every age are challenged academically, given room to grow spiritually, and provided opportunities to be leaders. 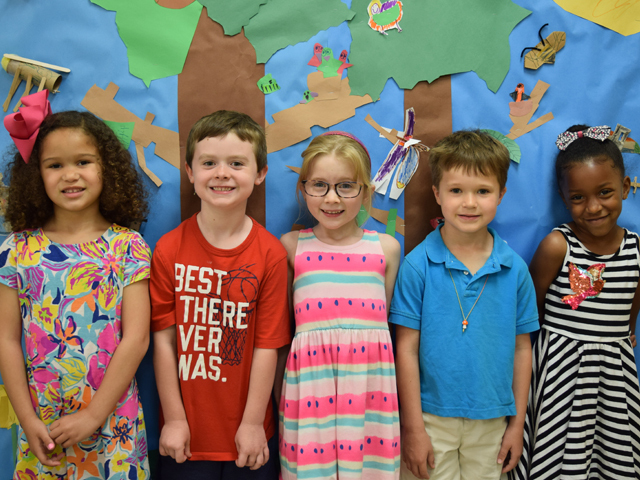 Canterbury students graduate with the skills to be responsible citizens, capable problem solvers, creative thinkers, effective communicators, and respected leaders. At Canterbury School, we believe that the ultimate purpose of education is to prepare students to become contributors to and leaders in an ever-changing world. To achieve that, our educational approach is unique. Our PreK-8 structure concentrates on the learning needs and development of young children and middle school adolescents without the distractions that can come with a high school. Our small size of about 40 in each grade means that each student is known, cared for, and loved. We recognize the best education develops the whole child: mind, body, and spirit. We are part of a long Episcopal school tradition of strong academics, an inquiry-based approach to learning, and a diverse environment. Canterbury’s mission is to develop the whole child by challenging the mind and nourishing the spirit in a diverse community guided by Judeo-Christian values. Contact us to learn more; we'd love to share more with you about what makes Canterbury School unique.